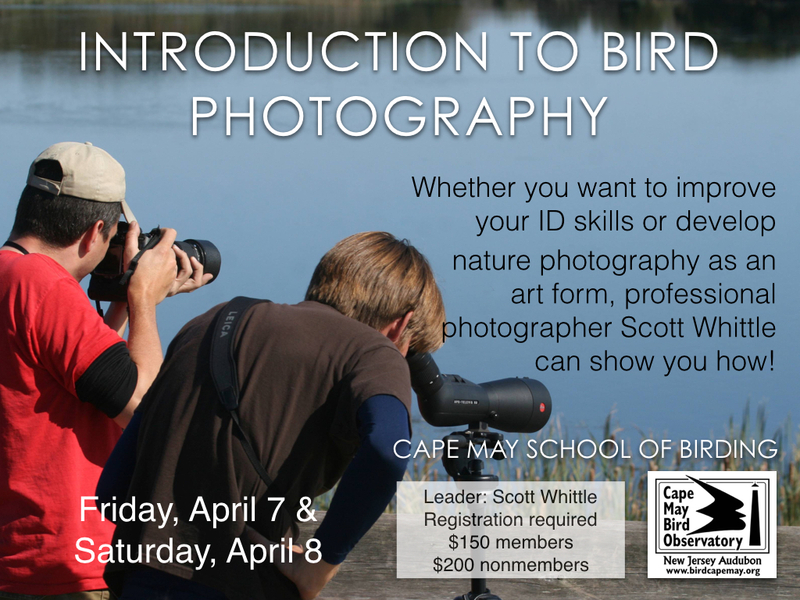 Whether you’re looking to accelerate your identification skills, or show the world how you see the birds around you, the camera is a perfect tool. In this two-day workshop, professional photographer Scott Whittle will help you work with the equipment you have to achieve your photographic goals. The course will include an overview of gear and how to use it, shooting sessions in the field, and how to develop a digital workflow that gets you the best possible image. Participants are encouraged to bring their laptops for post-photo capture learning. 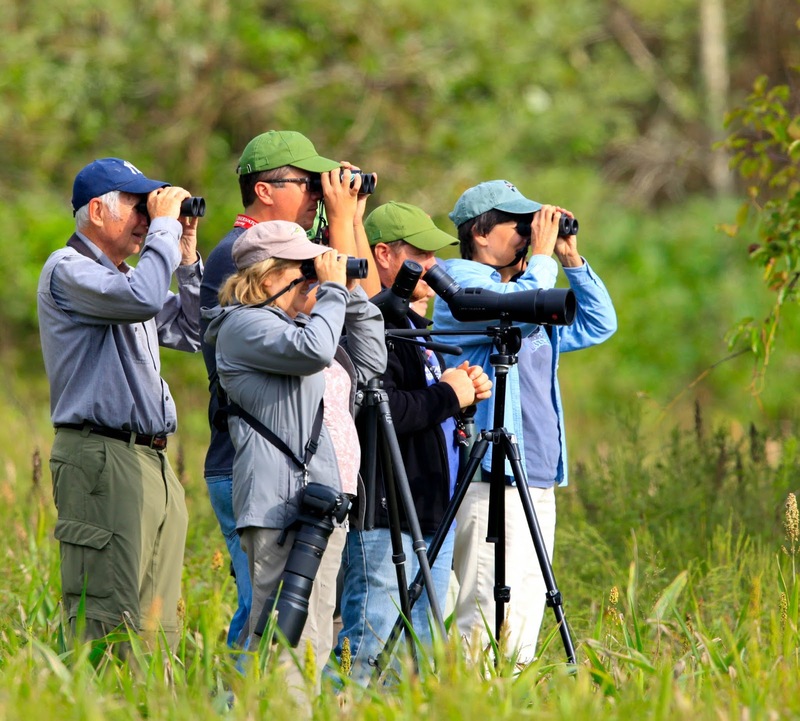 This School of Birding Workshop will help take your appreciation of birds and birdwatching to the next level! 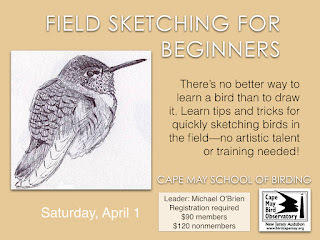 There is no better way to learn the details of a bird’s structure and plumage than to draw it, and many expert birders, like Michael and Louise, are also artists. 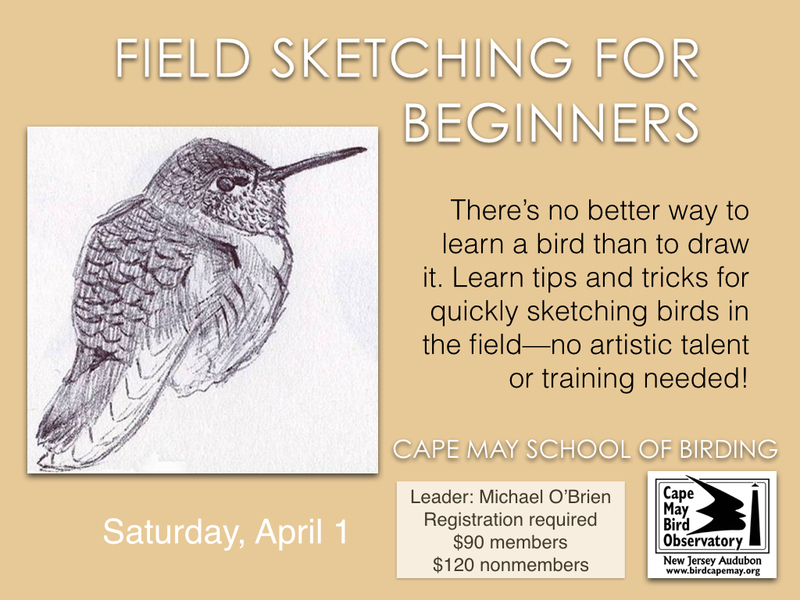 Learn tips and tricks for quickly sketching birds in the field when there may not be time for painstaking observation. Drawing birds brings advantages to non-artists, too, simply from the need to look at a bird critically in order to draw it; it’s also a great way to document unusual species. No artistic talent or training needed. This workshop has been very popular - sign up early! Preregistration required. It is easy to take for granted things right underfoot. Recently, while enjoying a visit to a local jetty, it became apparent that one hundred years ago I would have been drifting with water over my head in the tide. Jetties are relatively modern structures, but many of us visit these rock piles not realizing their impact. Irrespective of the pros and cons of coastal engineering, jetties provide unique opportunities for birders. Though we may love them or hate them, certain birds unequivocally love them. Blue mussels and sea ducks meet on these rock piles and produce world class opportunities for birders and photographers. Just how old are our local jetties? A review of historic aerial maps and Corps of Engineer records note that the first jetties appeared around 1911 with the inception of the Cold Springs Inlet (Cape May Harbor) jetties. Structures were added to the Cape May area, Barnegat, Shark River and Manasquan between 1920 and 1940. The structures in Hereford Inlet and Townsend’s Inlet are more modern, dating to the mid and late 1960’s. These structures created a new habitat dynamic and jetties became home to numbers of fish, crustaceans, mollusks, invertebrates and vegetative growth, all food sources for birds. Also, part of the dynamic is an accessible platform for people beyond the surf line, with deep water and currents favorable for sea duck viewing. One unintended benefit of jetties is that they provide a steady food source for sea ducks – Blue Mussels. The Blue Mussel (Mytilus edulis) lives in temperate and polar waters, colonizing both coasts of the North Atlantic and North Pacific, as well as similar areas in the Southern Hemisphere. It favors oceanic and estuarine conditions and colonizes hard substrates. Our Atlantic Coast inlets have excellent flow of nutrients, salinity, and water temperature to support Blue Mussel colonization. Even without jetties, the Blue Mussel can be found attached to eel grass and other softer substrates. But they thrive on rocks and it is on the rock jetties that it plays out to our greatest advantage, where we can walk out past the surf line. Blue Mussels colonized on local jetty. Surf Scoter with catch of Blue Mussels. The Blue Mussel is the most consumed mollusk in the world and consumption extends beyond the plates served in favorite restaurants. Through more than a half century of research and analysis of stomach content, the Blue Mussel has been, and still is, a predominant and important food source for sea ducks. Greater Scaup with meal of Blue Mussels. Surf Scoter with mouthful of Blue Mussels. 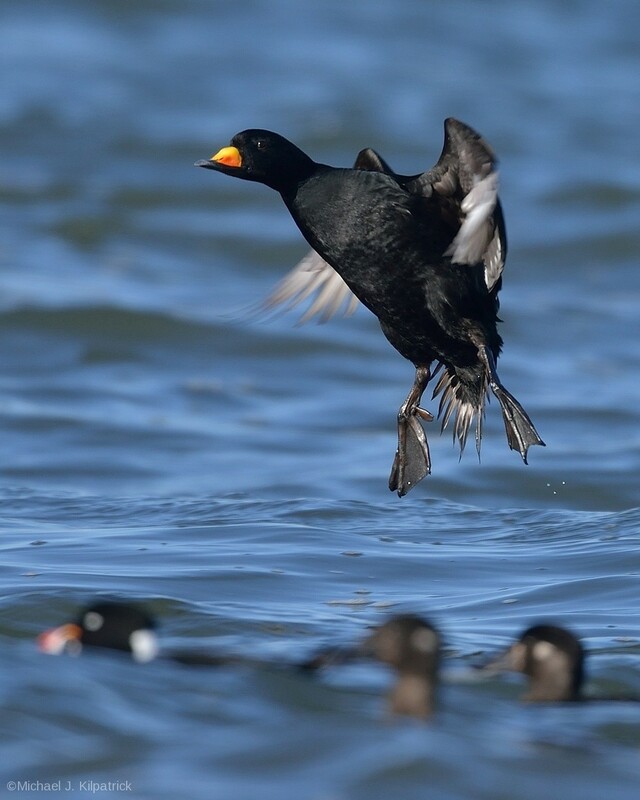 For scoters in oceanic environments, the Blue Mussel dominates diet selection, comprising up to 50% of their collective diet. Common Eiders rely on Blue Mussels and no other duck depends to such an extent upon a single food source. Long-tailed Ducks, scaup, and Harlequin Ducks have a much more diverse diet, yet the mussel is still an important winter food source. More simply stated, if sea ducks dined in seafood restaurants, we may not get a seat. The colonization of the Blue Mussel on jetties helps bring these mostly distant feeders to the edge of the shore and often within very close distances. Long-tailed Duck feeding on a Blue Mussel. The Harlequin Duck’s presence in Barnegat Inlet every year could be attributed to the Blue Mussel colonies on the jetty. 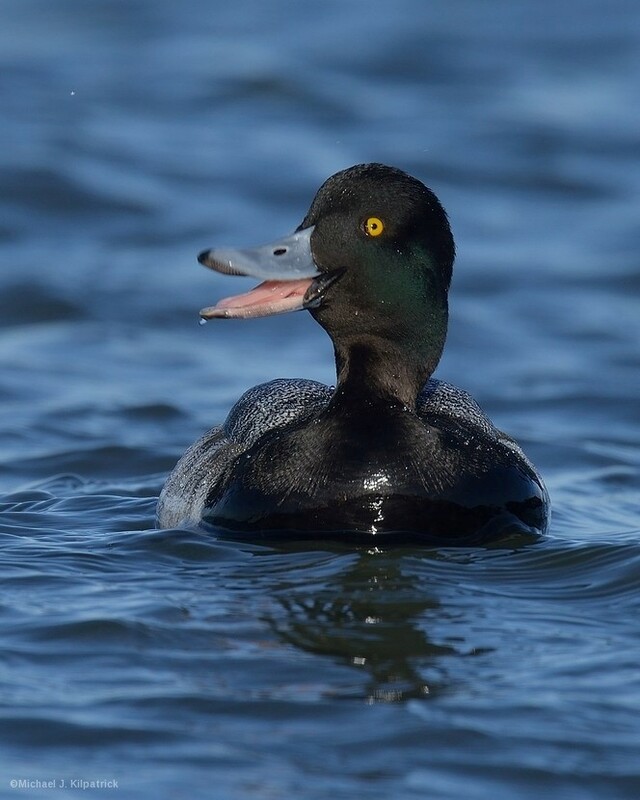 Charles Urner conducted weekly counts of ducks on and around Barnegat for twelve years between June of 1923 and June of 1935. 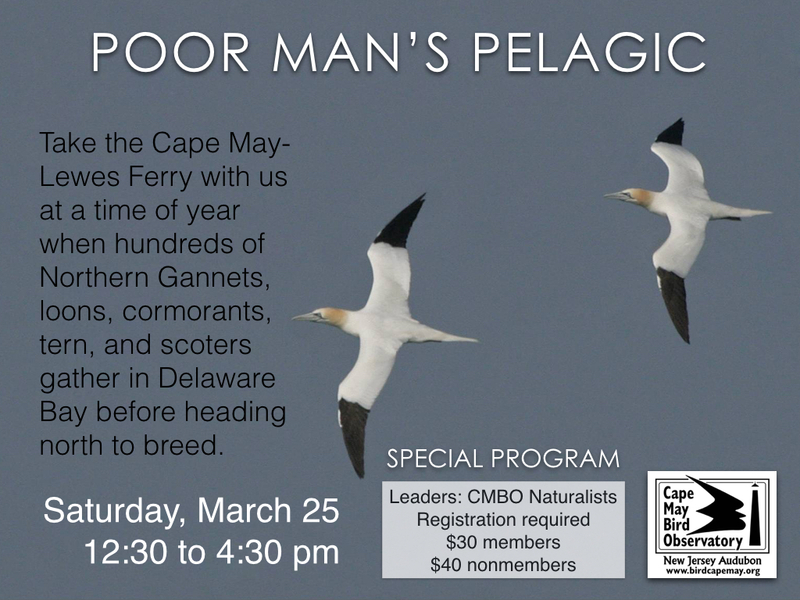 These counts are reported by Witmer Stone in Bird Studies at Old Cape May. During those 12 years, he notes numbers of Brant, American Black Ducks, and diving ducks, but only four sightings of Harlequin Duck. The Barnegat Jetty was constructed between 1934 and 1940. Is it possible that today’s regular appearance of the Harlequin Duck in Barnegat Inlet is due to the Blue Mussel’s presence on the jetty? Harlequin prying mussels with bill. Eye to eye with a preening Harlequin Duck. Jetties, Blue Mussels, and sea ducks have become a winter tradition, but it is worth noting a shorebird species that is part of this tradition. 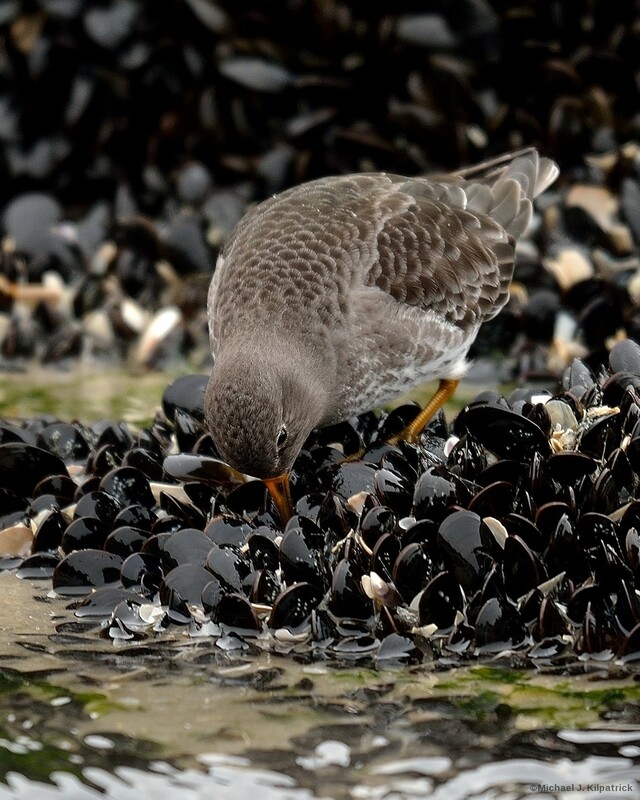 The Purple Sandpiper was rarely recorded in New Jersey until the construction of the Cold Springs Inlet (Cape May Harbor) jetty. Again, referring to Bird Studies at Old Cape May, Stone notes: “Until the winter of 1924-25, there was, so far as I am aware, only two definite records of the Purple Sandpiper on the New Jersey coast…….With the construction of the stone jetty at the mouth of the Cape May Harbor, a few of these birds are to be found, probably every winter, feeding among the rocks…”. 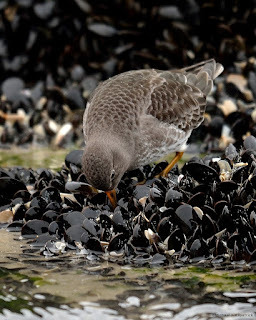 This prompts the same question: is it possible today’s regular appearance of the Purple Sandpiper is due to the presence of the jetties and sea walls? 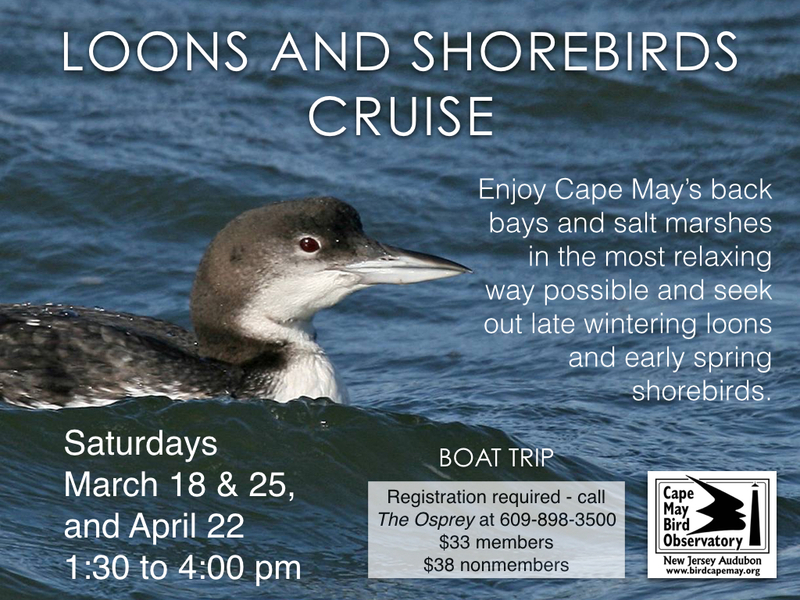 Through winters, summers and migration, our jetties are used by many species, but for the avian enthusiast, winters on our jetties are special and the sea ducks steal the show. 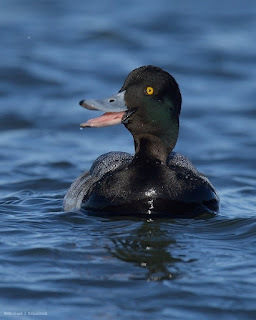 This was all summed up for me by a UK visitor met at the Barnegat Inlet Jetty, who repeated several times: “You are so fortunate to have such opportunities here….and the ducks are so close….we never have such opportunities at home and came here to see them….it is amazing!”. For those that brave the cold and visit our local jetties, do not take them for granted, as they represent an opportunity that does not exist for all and was not available to those in the past. And never take for granted what is unde foot….a slip and fall on granite can be very unforgiving! 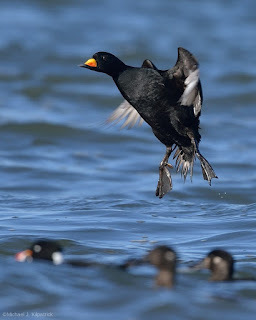 Black Scoter landing in feeding flock. Greater Scaup with Blue Mussel in corner of bill. Note: all photos were taken from jetties and sea walls located from Cape May Inlet to Barnegat Inlet. 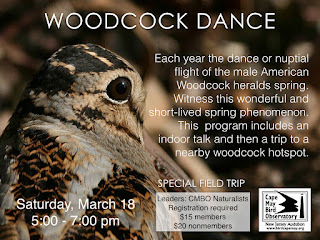 SPRING IS HERE - COME BIRDING! 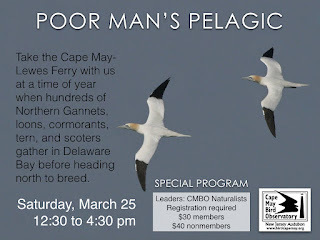 We have a couple fantastic Special Field Trips coming up in the second half of March, from the cuteness of a displaying "timberdoodles" (Woodcock Dance) to the majestic flight of passing Northern Gannets (Poor Man's Pelagic) from the vantage of the ferry. 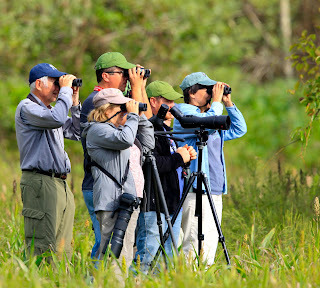 Let our experienced naturalists show you the way! 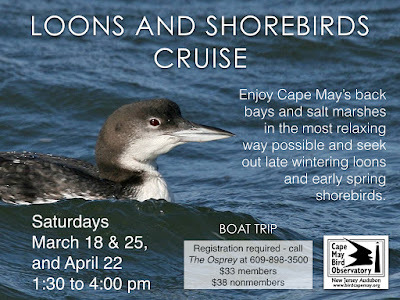 Save your spot today - you can register at CMBO Preregistration Programs or visit BirdCapeMay.org for more information. 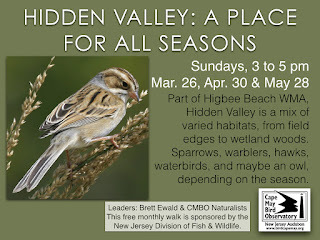 Or join us in exploring the fields of Hidden Valley for early migrants. 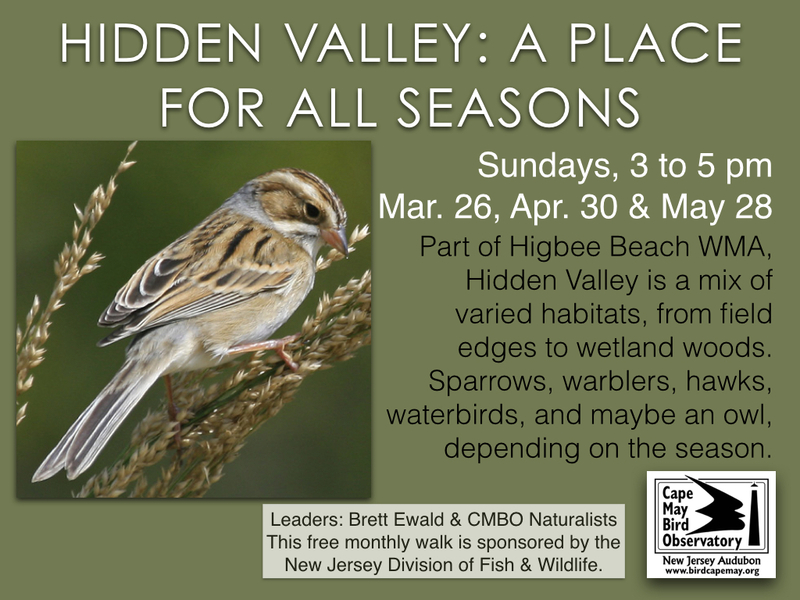 This free walk is sponsored by the NJ Division of Fish & Wildlife! CMBO is making it even easier to save your spot on our popular preregistration programs. 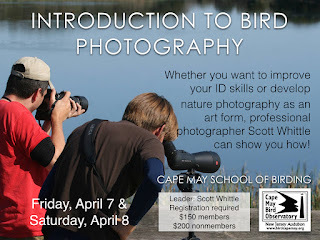 You can now sign up and manage your registrations for Cape May School of Birding Workshops and Special Field Trips through the corresponding pages on our website. Just click on the Registration link in the middle of the page and away you go! As always, New Jersey Audubon and Cape May Bird Observatory members receive a 25% savings on all preregistration programs. See you in the field!!! !